Having followed Aether Realm since the release of One Chosen by the Gods at the start of 2013, it seemed the band was destined for some great things. The singles that followed certainly gave the impression of something even greater (those being “The Magician” and “The Chariot”). 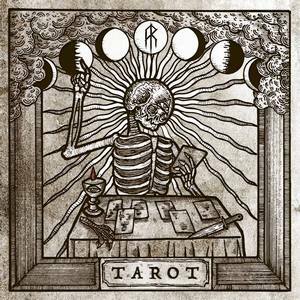 Finally, four years after OCbtG, the band has returned with their second full-length, Tarot. Turns out, those impressive tracks only scratched the surface of what the band has been able to do with this release. At 73-minutes in length, Tarot is packed with highlights and a staggering amount of diversity. It’s hard to really describe the album without going into the nuances and direction of each track – there’s folk, melodic death, black, progressive, and it’s merged with compelling synths, a choir, and gang vocals at times. It’s very clear that the band found its essence early with OCbtG, but have done some maturing over the last few years as well. The fun, energetic Children of Bodom influences still reign supreme on some of the tracks, such as the instantly infectious romp of “The Tower” and bouncy vibes of “The Chariot,” along with the party-friendly “King of Cups” (complete with guest vocals from Chris Bowes of Alestorm), but beneath the fun are grin-inducing guitar licks and melodies that stand up well beyond listens in the double-digits. There’s a more progressive side to the band that rears its head in a number of tracks, perpetuating the ‘epic’ feeling found on the debut and giving it an even more satisfying sound to wander in. The entirely gorgeous “Temperance” sounds like a glorious bonfire track, slowly building up from acoustic guitars and clean vocals to an ethereal sing-a-long. The slower pacing and effective use of some sneaky melodies within “Death” combine with a catchy chorus show a more grounded take on the band’s usual approach. 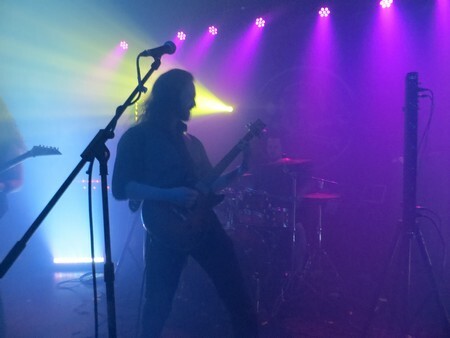 On the other side of the spectrum, “The Devil” boasts multiple tempo shifts, including some killer clean vocals atop blastbeats and later Opeth-esque progressive rhythms and an acoustic break, to give the song a larger than life feel. But the album’s greatest accomplishment is that of the 19-minute closing epic “The Sun, The Moon, The Star.” Starting off with some 8-bit fun before diving into grandiose riffs and combining much of what makes the album work in smaller doses into a track that has it all, yet retains an impressive mission statement. Despite an excellent start, there’s also a build-up to the song’s climax, with bassist/vocalist Vincent ‘Jake’ Jones singing a few emotive lines over some synths that explodes into a final movement with gang vocals and screams along with one more return to one of the most elegant melodies of the album. Simply put, Tarot is an album to be treasured. Lengthy albums can be tricky to maintain the same level of quality from start to finish, but you’ll be enthralled by the get-go and completely sold by the end of your first listen. This scribe has previously referred to the band as one of the US folk metal scene’s best kept secrets, and one can only hope that changes with the release of Tarot. Something this masterful should not be kept hidden.